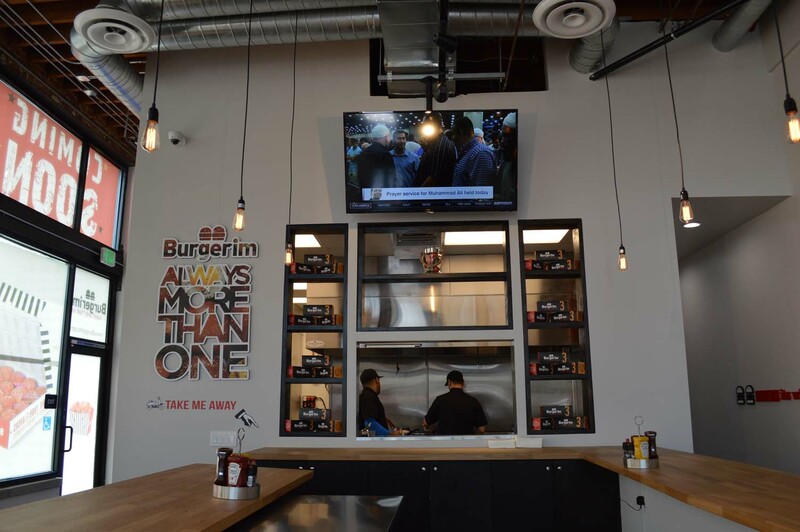 GOURMET FAST FOOD BURGERS THAT WILL HAVE YOU ALWAYS NEEDING MORE THAN ONE @ BURGERIM - MELROSE (LA) - EAT WITH HOP! 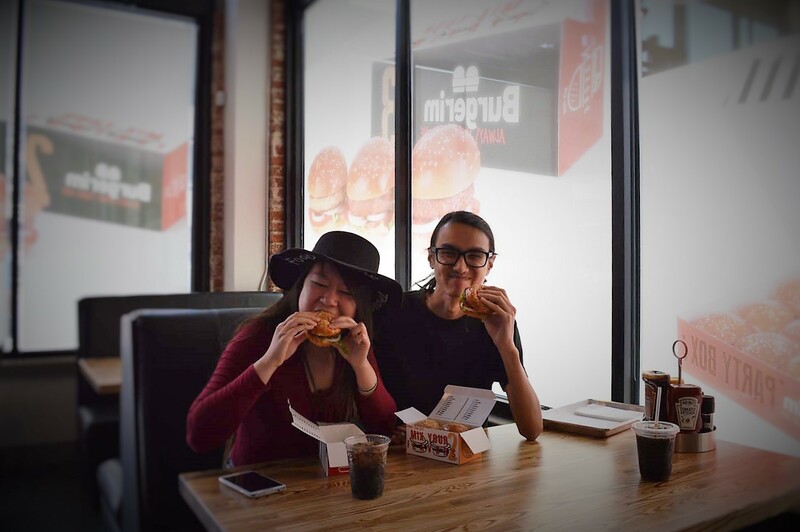 Are you ready to have a burger party? 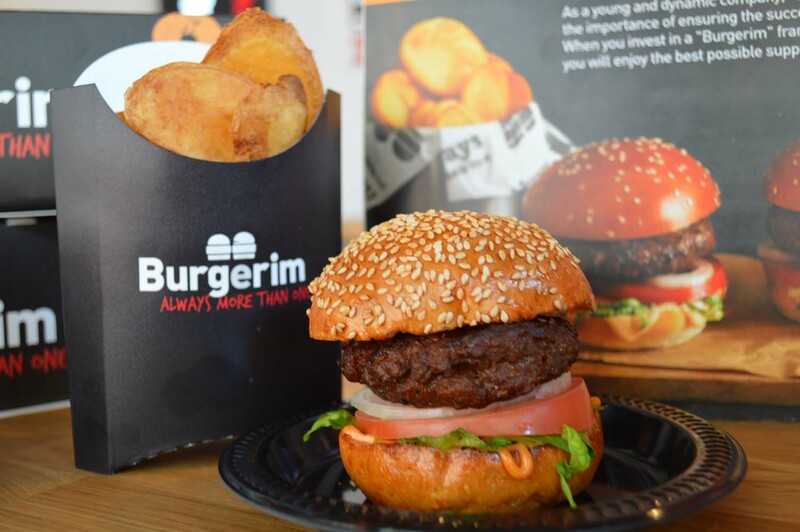 Burgerim is a fast food gourmet burger chain that originates from Israel. And they are finally opening up stores in the land of Hamburgers, America! 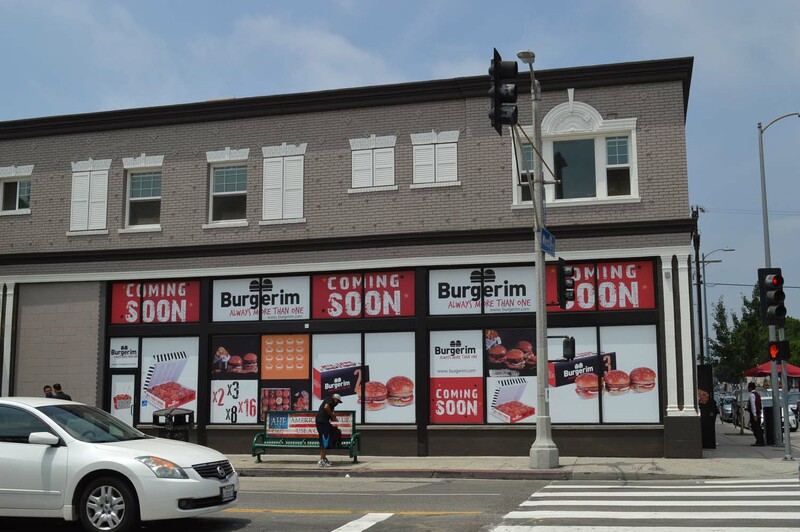 The first location will be opening in Los Angeles on Melrose / Western. 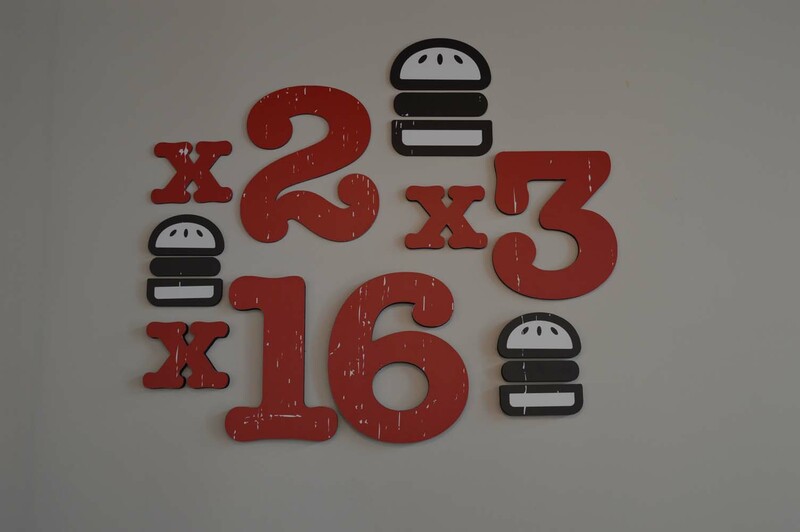 And, I'm sure these burgers will be a hit! They are so damn juicy! "Take me away" it says! 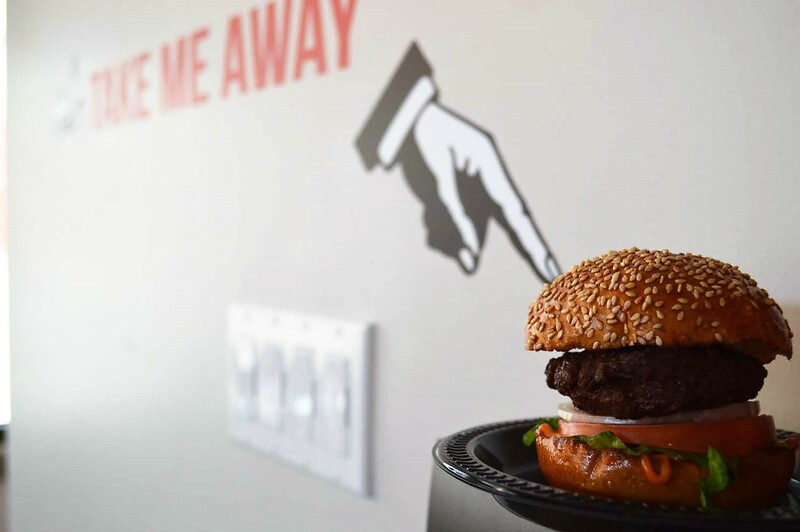 The burger wants you! TAKE IT AWAY! 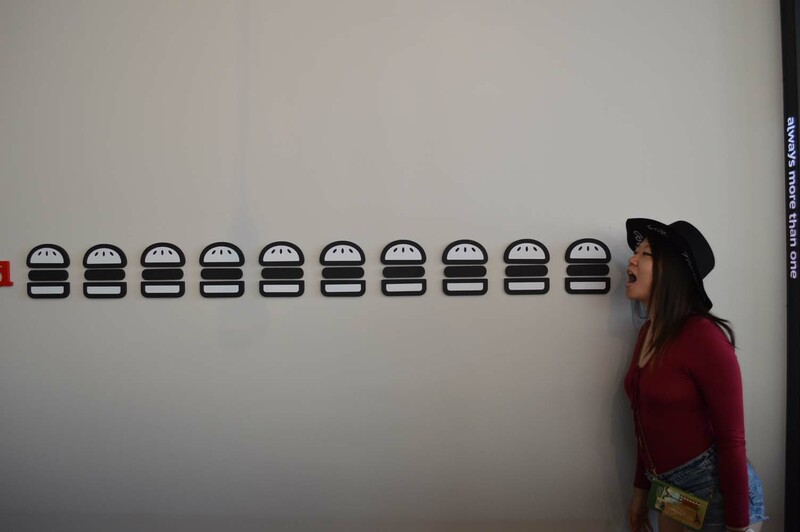 Alright, I am just so in love with photogenic walls. ALWAYS MORE THAN ONE. YOU NEED TO HAVE MORE THAN ONE. TWO. THREE. 5 ZILLION. Here is the inside of the place. They will be serving alcohol on tap too! I love how the restaurant is wide and spacious! The store is located on the intersection of Melrose / Western! There is meter parking or valet parking. 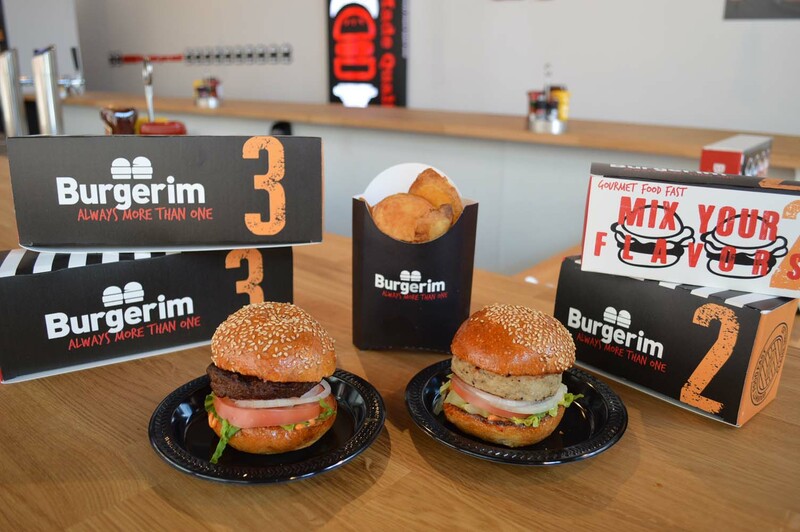 Burgerim specializes in mini burgers that you can order in packs of 2, 3, or 16. I recommend 16. Because the more the better and it comes in a "pizza" box. I think Pac-Man would be proud. 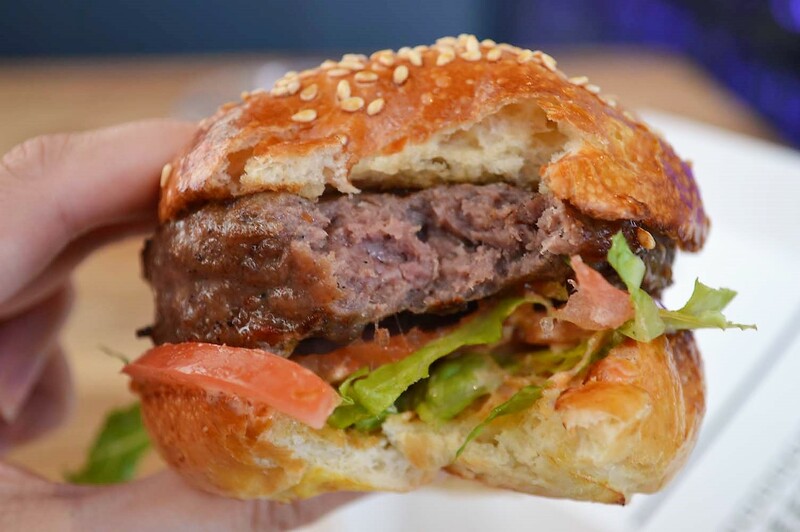 These are the Beef and Wagyu burgers. Yes. Wagyu. Although I actually prefer the Beef because the meat is much more tender, soft and full of juice. You see all the condiments nicely laid out here? Don't need them. 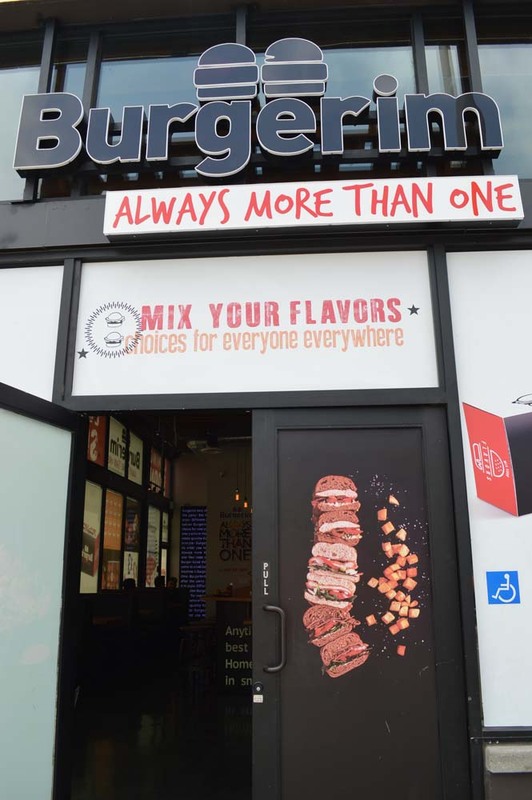 The burgers are perfectly flavorful without anything at all. Kevin and I about to kill these burgers. The burger bun itself is really puffy! All the burgers here reminds me of Krabby Patties. They just look so perfect. And tastes perfect too. You know how that cute little girl says, "SO FLUFFY!!" in the "Despicable Me" movie? When I was eating these burgers.. I was basically saying, "SO PUFFYYYYYY !!" 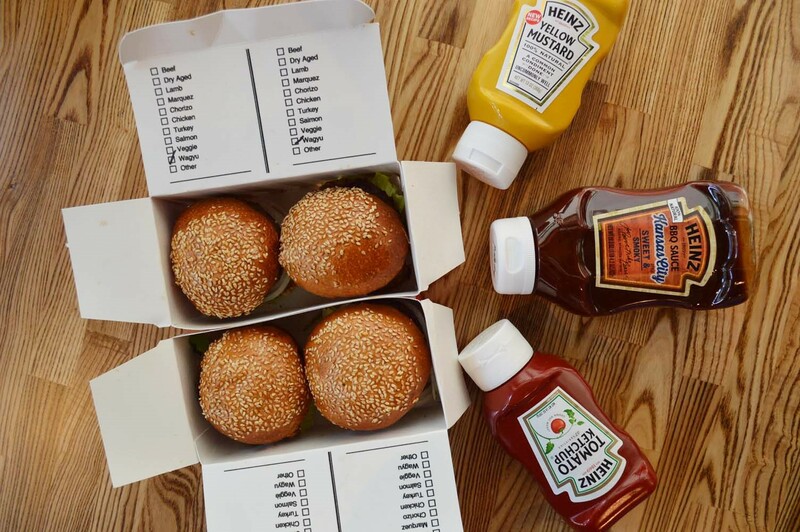 A BOX FULL OF BURGERS! 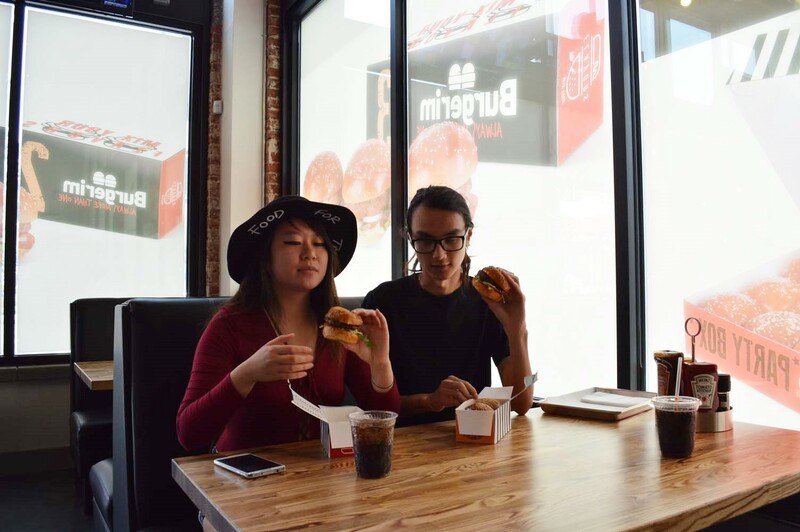 Burgerim specializes in serving gourmet mini burgers which can top as you please with their plentiful options! 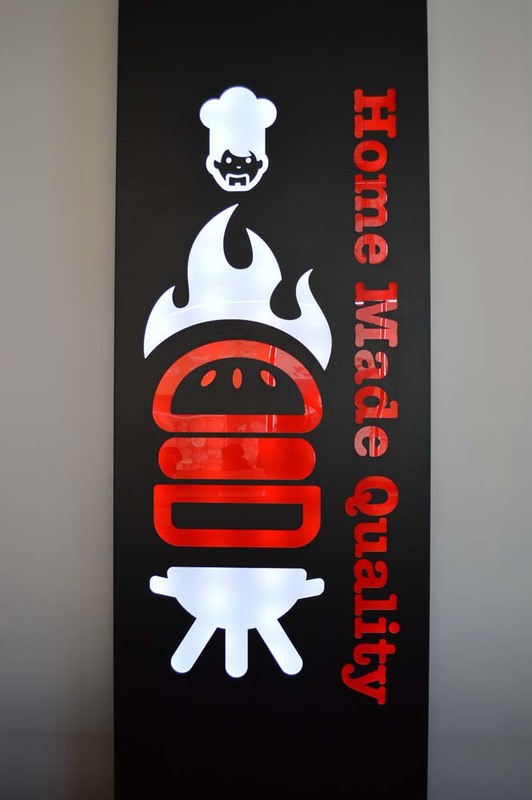 They've got a variety of meat too to satisfy diverse cravings such as Wagyu, Beef, Lamb and Salmon. 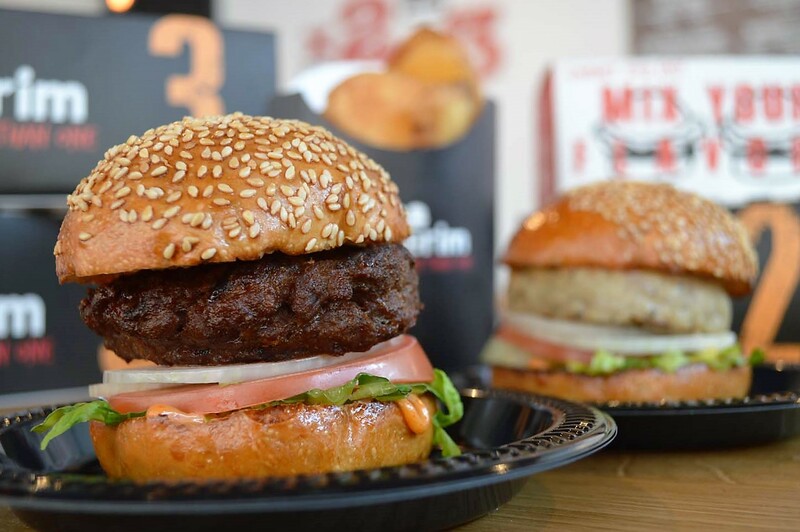 The Israeli's based Burger chain is finally opening it's first location ever in America, the home of burgers! The first location will be opening in Hollywood (Melrose / Western) within the few weeks (date TBA). But, they don't plan to stop there! 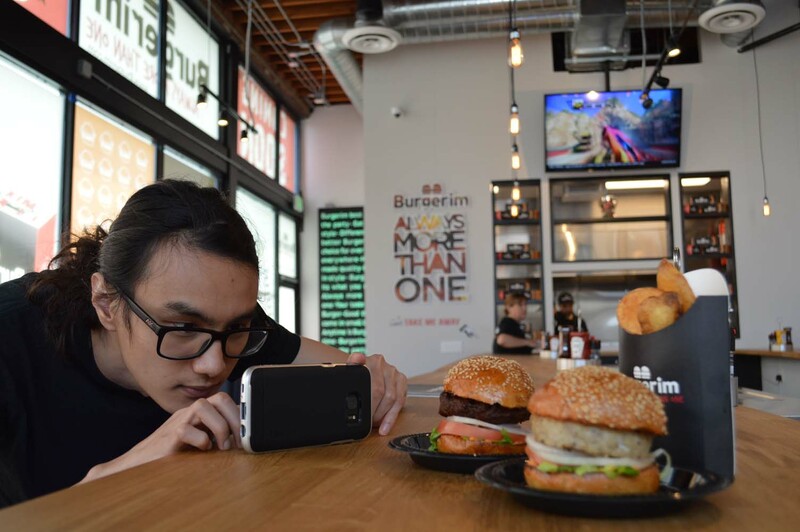 Burgerim already has it's sights set on other areas of Los Angeles and even possibly the Honda Center in Orange County! Order in packs of 2, 3 or 16! 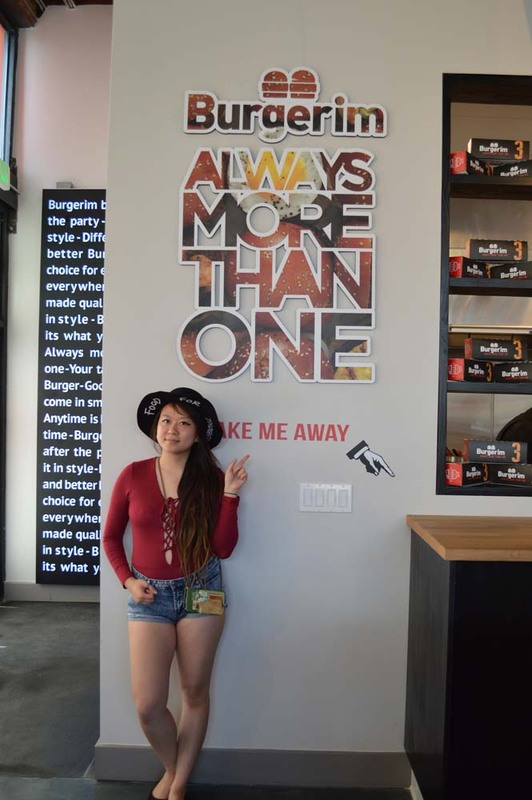 Burgerim's slogan is "Always More Than One" which makes sense because of the ordering system. They come in packs of 2, 3 or 16! 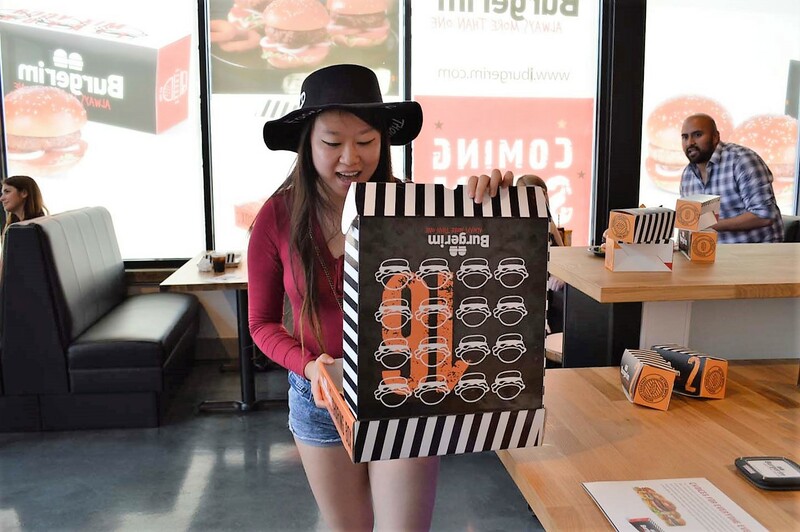 The 16 pack comes in an awesome box, like a pizza box, but for burgers! They Serve Lamb and Wagyu too?! 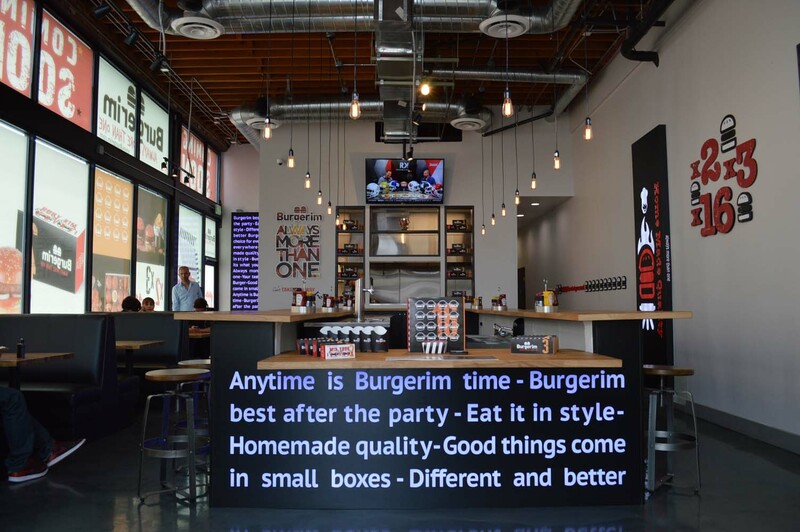 This ain`t yo average burger shop. They have delectable meats to choose from such as Lamb (a personal fave) and Wagyu. Their Wagyu is American style made in Nebraska. The flavor is so good you will forget even the existence of cheese! 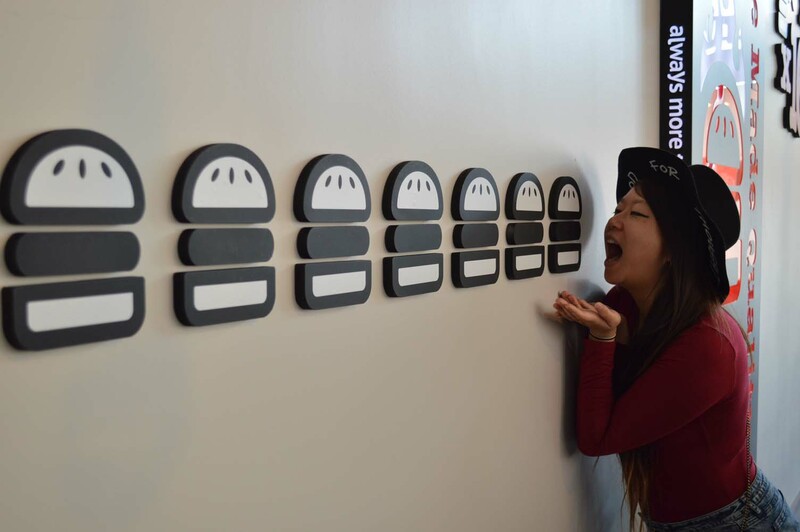 So when I bit into these cute burgers, I was so impressed by the flavors! 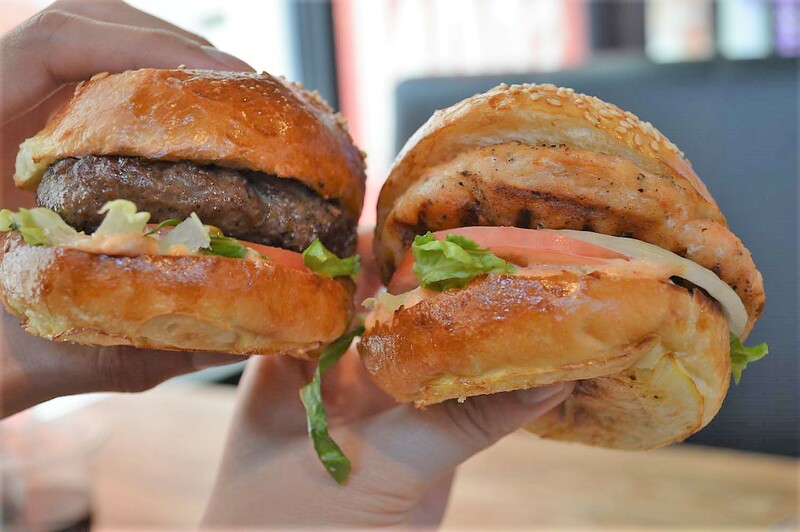 The patties are juicy and the sauces and spices and herbs are all blended so well together that there's an explosion of flavor in every bite. I kept eating thinking that it was it had the usual topping: cheese. But I was so wrong. There was no cheese at all! Of course, you can totally order cheese with it. But I didn't even know that I didn't order cheese. Apparently, be default the burgers don't come with cheese. But with good reason. There is no need. It's already so damn good and flavorful without the cheese! Whoa! The burgers have this sauce that reminds me of the In N Out sauce. However, at In N Out I usually get sick of it easily and end up only eating one burger max. 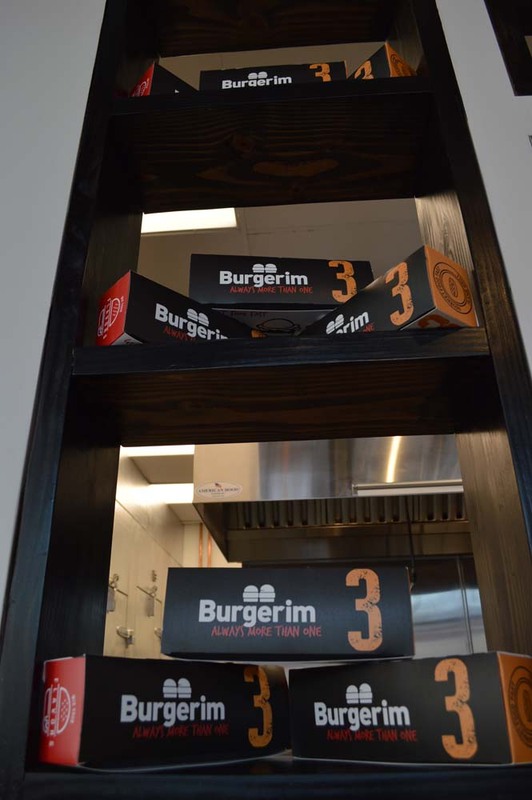 Burgerim's version is like.. a lighter and thinner version but still with all the flavor! The buns reminds me of Krabby Patties. SO POOFY! 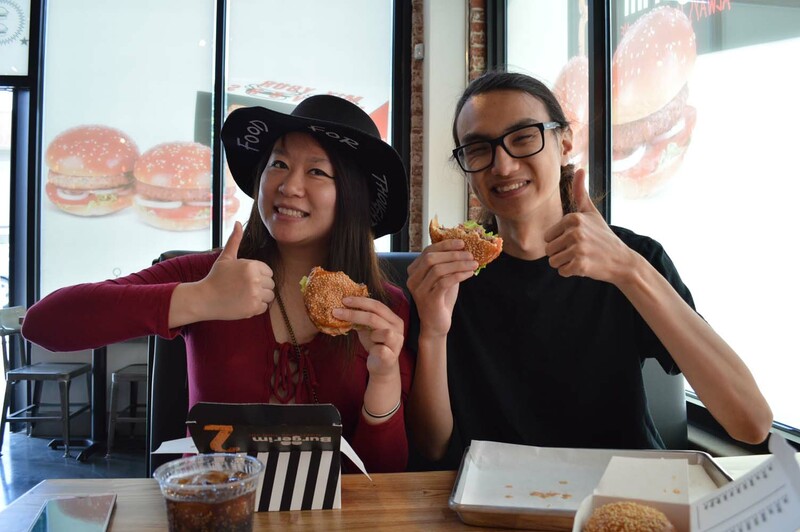 The staff at Burgerim explained to Kevin and I that they worked hard to create a unique recipe for the flour to make the poofiest and cutest buns ever. Every time I would poke it a bit it would reform into the perfect bun again. So cute! The buns are so soft too! the meat is extremely tender and juicy. My top favorite! You totally know it's lamb once you bite into it. But the taste isn't very strong. Basically if you're one of those people that don't prefer lamb because of it's strong / strange flavor this is perfect. Because it's a good toned down version. There's a lot goin on here. It doesn't taste like 100% wagyu because of all the extra stuff they put in the patty for the flavor (?) but it definitely tastes different from the regular beef patties. It's a bit .. more structured and thicker I would say. When you bite into it, it won't be as soft and tender as the regular beef one. Well this definitely tasted like fish! Hah! I don't usually like salmon burgers so this was okay. I prefer my meats! However, it was good though and the salmon was juicy! Not overcooked or anything! Parking may be an issue here since it's LA and you've got two options: Valet or Meter Parking.